Syllabus of the Online Course (Subject): Doing Business and Economic Governance in Africa. Description of the Online Course: Doing Business and Economic Governance in Africa. 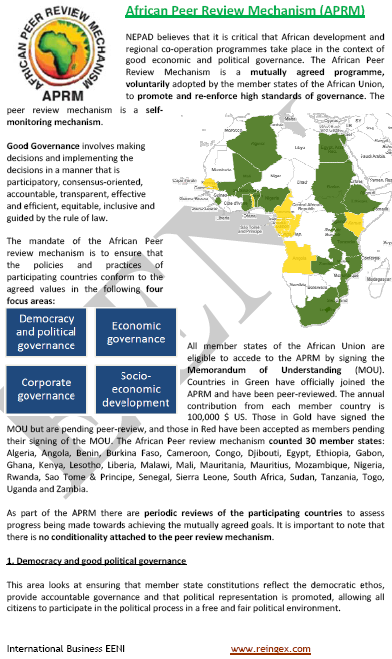 The last fifteen years, the political and economic governance in Africa has improved. The best country in budget transparency improvements is Burkina Faso. The ten least corrupt African Countries (Transparency International) are Cape Verde, the Seychelles, Rwanda, Mauritius, Lesotho, Namibia, Ghana, São Tomé and Príncipe, South Africa, and Senegal. The countries with the highest business environment improvement in Africa (since 2000) are Liberia, Rwanda, Sierra Leone, Mauritius, and Senegal (Source: African Development Bank). 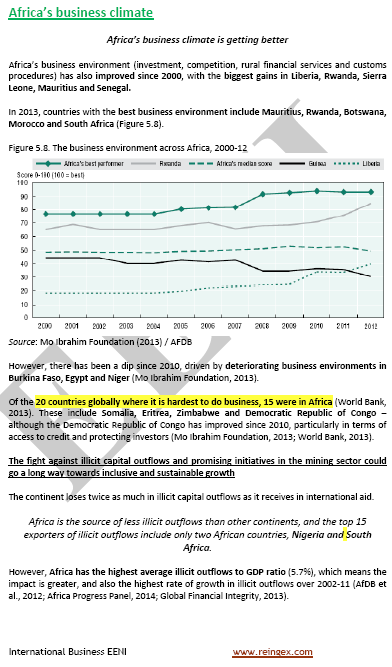 The largest African Countries exporters of illicit outflows are Nigeria and South Africa. 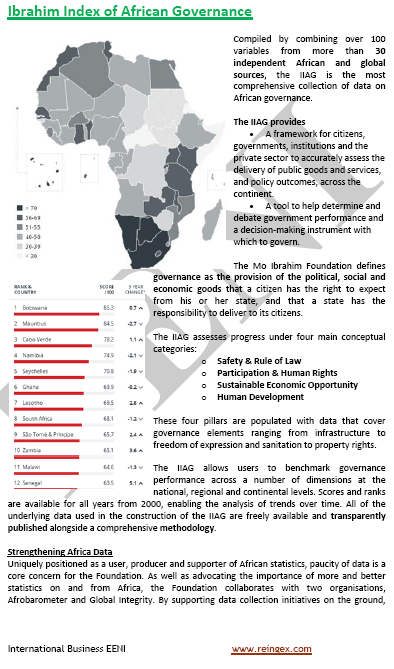 The Mo Ibrahim Index of African Governance analyses the political and economic governance situation in thirty African Countries. African Easy of Doing Business Ranking (World Bank). The ten countries with the lowest rank are Liberia, Mauritania, Guinea-Bissau, Angola, Congo, the Democratic Republic of the Congo, Chad, South Sudan, the Central African Republic and Eritrea.